In 1994, good friends Kathy and Jo, upon the recommendation of Kathy’s 19 year old son, watched the movie “Manufacturing Consent: Noam Chomsky and the Media”. Afterward Kathy said “Everyone should see this film!” and so they decided to host a free monthly film night screening documentaries on topics normally disregarded or skewed by the mainstream media. The films were shown in the teachers room at the Edward Milne Community School (EMCS) in Sooke using a small T.V. and a VCR. They called it Awareness Video Night, and the initial two film nights featured parts 1 and 2 of “Manufacturing Consent”. In those early days finding topical, presentable documentary films required a bit of sleuthing and attendance was sporadic, sometimes only a half dozen people. But with the advent of documentaries as feature films in theatres and film festivals, interest grew and in 2005 Awareness Film Night updated its name and took a leap of faith and moved into the beautiful EMCS theatre. Over the years, Awareness Film Night has had filmmakers, guest speakers and even the occasional politician in attendance for some lively post-screening discussions, and has also co-hosted film nights with other organizations such as Sooke’s Food CHI and Transition Town groups and the Sierra Club, Mining Justice Action Committee, Dogwood Institute and Ancient forest Alliance from Victoria. Extra donation money has been donated to organizations near and far that are working to support the troubled people and places of the world. Kathy, still a dear friend and frequent Awareness Film Night moviegoer, has moved on to other pursuits, but Jo persists with help from partner George, this year’s tech, Quin and all of the fantastic student techs who have worked with us (and sat through some interesting film nights), website design/support person, Deb, Jeff who manages the Facebook page, Stephen who designs the eye-catching posters, Anna Smandych who is our Twitter gal, Karen Stones of Sea of Bloom/Inspire in Sooke who is hosting the AFN DVD library in her wonderful shop, Reta of the EMCS Program office who always seems to be there when we need her, even when she is not officially in her office and, of course, all the moviegoers who bring their ideas and support. 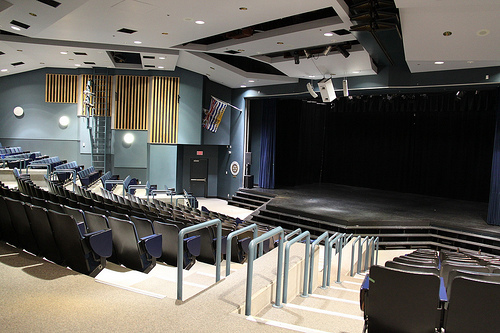 AFN runs from October until May at 7 p.m., generally on the second Wednesday of every other month, in the theatre at Edward Milne Community School, 6218 Sooke Rd, Sooke, BC. Admission is by donation. As you can see, we have lots of room (350 people), so bring a friend or two along and make it a night out.